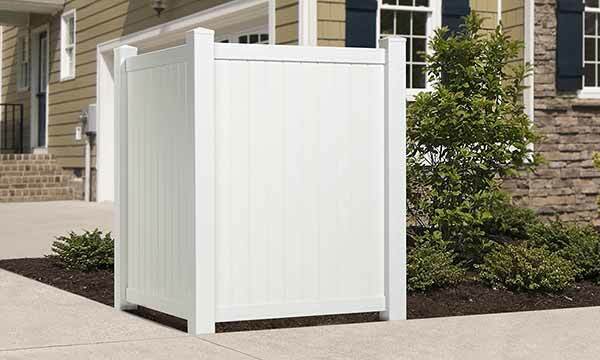 So your veggie garden looks nice, but needs a finishing touch – add a corner picket accent fence at each end. Or your kids keep riding their bikes through the flowers at the end of your driveway - block ‘em with this L-shaped vinyl fence. So many uses! It’s light enough to move, sturdy enough to stay put. Simple to build – slide parts together and lock in place. No posts to bury. It can sit on top of concrete, or, you can secure it to the ground with included stakes (they go inside the posts). Simple to clean – just hose down. Quality PVC vinyl is manufactured to withstand UV rays and normal temperature fluctuations. It eliminates the weatherproofing nonsense that ruins your day off.